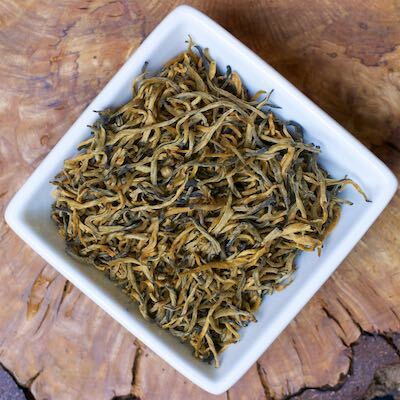 All Golden Bud teas are not created equal and this is a large-leaf version that is quite different from my other GB. It is complex and naturally sweet with cocoa and citrus notes on the front, finishing with a lovely honey expression. This tea easily steeps two times and with patience, probably three.